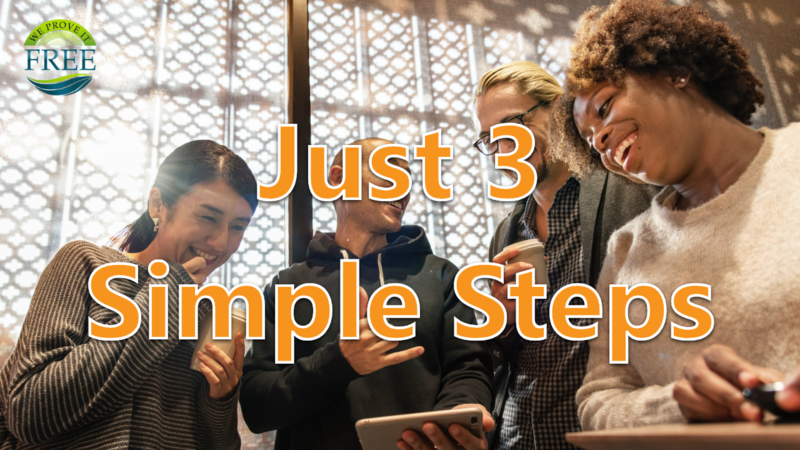 In 3 Simple Doable Steps! Note:Enter the Donor Key of the person who invited you. If you run after your destiny you will distance yourself from your history and if you run after what’s in front of you, you will escape what’s behind you! Most of you are here because you are not satisfied where you’ve been, or because you are unhappy with what you’ve got – you want more, you know you deserve more and you just need a break, a solution, you need the right system. Welcome to We Prove It Free. We KNOW it is the right system and we are willing to Prove It Free because we want you to win – That’s right no money, no credit card and no catch! Our founder has spent years building this system, thousands of hours of R & D and millions of his own dollars perfecting this system – FOR YOU! Because he KNOW’S what it’s like to not have enough – he went from sleeping in cars and down to his last $8 in 2001 to multimillionaire by 2003. He built this system FOR YOU to become Debt Free, Stress Free and Financially Free and to do that - he is willing to let you Prove It Free. Register right now so we can PROVE IT FREE! © 2019 We Prove It Free - All Rights Reserved.